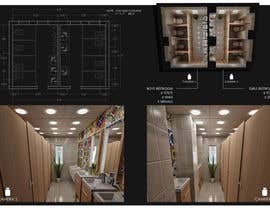 We are renovating a restroom for a High school in India. 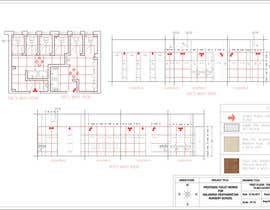 Current building Cad drawing is attached(The restrooms are marked in red). 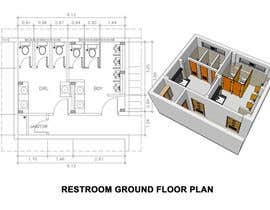 Except for the first floor rest of the restrooms, all other are in same size and shape. 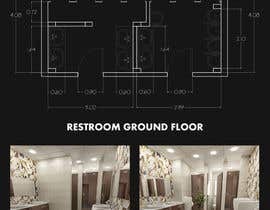 For both type of Bathroom (first floor and Rest) Need to submit: Concept render(Male and Female), detailed Bill of material for two bathrooms, CAD and 3D file. 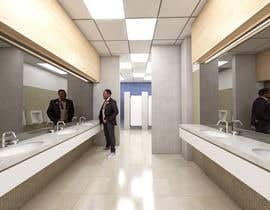 You can ignore the internal walls within the restroom. File with pillar markings will be attached soon. Students tend to wash their arms and face in wash basin after sports please consider that in the design. * Exhaust system must have atleast 15 air changes per hour. 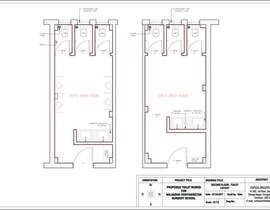 * Floor drains shall be designed to fit in the space of a single tile or centre to the crossing of joints. 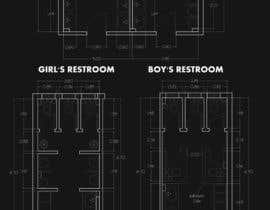 * Sound insulation should be planned since restrooms are adjacent to classrooms. Interesting contest ! is it still open ? Hello sir , I am now participating in your contest please don't close before the deadline, thanks. 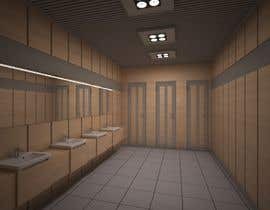 Can we make a change in girls restroom on the first floor? Sure, we are located in Vijayawada. Please suggest accordingly. There are no windows right now only vents. I will seal as soon as I get 4-5 entries. Hello! i want to do the job, but i have a few questions... how tall is the room? 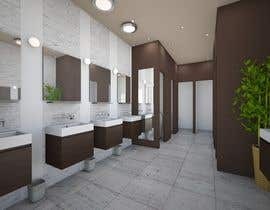 should i worry about visuals?...because in the CAD the window is blocked by the WCs... any chance to open another window to the corridor?...when can i get the structure file? Thanks! The structure file will be arranged tomorrow. 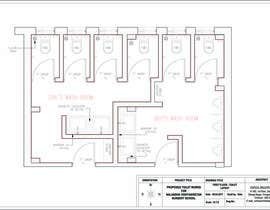 The room is 10ft high will include exact height in the file with pillar markings. Regards! 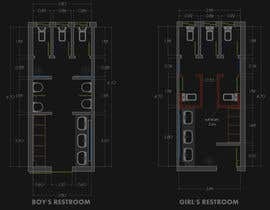 To do this job we require some previous information on the total number of fixtures to be placed in each restroom, also location of existing ducts of plumbing pipes (in case don´t, please indicate an aproximate point to locate and optimize the plumbing design) and structure elements (as columns or beams) wich could interfer with piping. Thanks! It is a old building so documentation is not available. 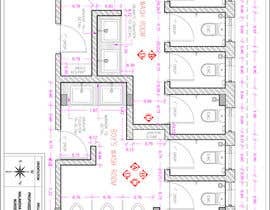 But i will arrange pillar marking in CAD file and I will add try to arrange plumbing info. 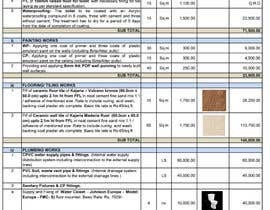 Also try to plan plumbing for easy maintenance. Thank you for organsing the competition. I'm interested to take part in it and alrady have the idea for the concept in my head. I do have two questions to develp my ideas further. Does it have to be ADA compliant or not? I saw the elevations but the facade that has bathroom windows is missing. are the window and windowsill hights the same there or not? In the current design there are only vents on the west side and no other openings. Design need not be ADA complaint.